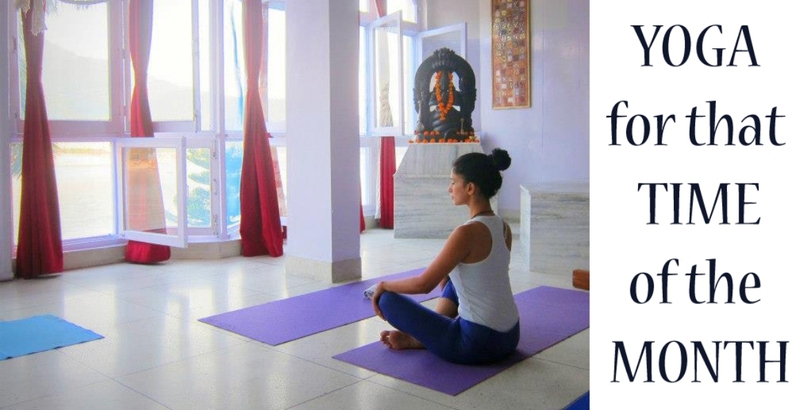 There are and have always been many different opinions regarding yoga practice during menstruation, and they have been influenced predominantly by culture and the role of the woman within it. On the other hand, every woman experiences menstruation differently, and therefore there is no one strict rule to guide every woman during this time. There are some basic rules, however, which can always be modified to one’s personal preference. Firstly, if a woman experiences negative emotions or feeling of discomfort during her period, she should practice Yoga Nidra and meditation before all. It is because the first thing we try to bring in balance in yoga is our mind and conscience. It is traditionally believed that with a disturbed mind, no physical aspect and exercise of yoga can be done correctly and with the right intention. Yoga Nidra is a perfect relaxing practice and along with meditation can beat all the negative symptoms of menstruation and PMS. Once a woman has her mind balanced, with both negative and positive thoughts flowing freely but creating no disturbance, then she can continue to work on her asana. As mentioned above, there is no single rule for all, but there are a few things women are commonly instructed to avoid and have been shown to be regularly correct. The first and most common rule is to avoid inversions. It is due to two main reasons, the first being that Apana, one of the pranas, has its flow reversed, which does have a positive impact usually, but not during menstruation, since it’s natural flow helps in different forms of elimination as well as in reproductive functions. The second reason is that the uterus is pulled in the other direction, towards the heart, which as a result increases bleeding. Along with inversions, women should avoid postures and practice which strongly engage abdominal muscles and can consequently increase cramps and pain in the stomach. Ashtanga, vinyasa and power yoga practice should thus be replaced with more gentle, Hatha or Yin yoga practice. Sun salutations can also be performed, but with a slower pace than usual. Restorative/Hatha and Yin yoga are perfect yoga styles for this period, since they are slow and relaxing, leaving enough space for modification of the postures and resulting in a feeling of pain relief in the whole body while calming the spirit at the same time. Bandhas shouldn’t be activated, since they could increase bleeding and due to tightening of specific muscles, and can add more pain also. And Bhastrika since they could increase cramps and bleeding. You shouldn’t add any more pressure in your abdominal region during this period; avoid it in both asana and pranayama. Aside from that, feel free to practice, since doing yoga in this period can be very rewarding and helpful in the release of cramps and other symptoms.